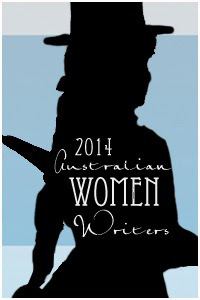 This is also my first review for the year for the Australian Women’s Writers’ Challenge for this year. Huzzah! And I’ve almost read my second of these for the year as well. It’s not Tolkien, but it’s an excellent story with a very good female lead character. This is suitable for older children up to about 14 years, said the expert without kids. But, I did do Young Adult literature when I was at librarty school and, I have to say, it was far and away my favourite subject. Knocked cataloguing right into a cocked hat. And I loved cataloguing! In western literature, dragons are objects of terror that hoard treasure and breathe fire. There are exceptions, like the dragons in Ursula le Gun’s Earthsea series, and any Dungeons and Dragons player will know that there are dragons benign, and not all breathe fire. But the red fire-breather la Smaug think is usually our first picture. So when I spotted a copy of Australian author Carole Wilkinson’s Dragonkeeper at the Goodwood library I made sure that it came home to visit. China also has a rich tradition of dragon lore that I’ve only encountered once before. It was a wonderful short story called Dragon…Ghost by M. Lucie Chin, published in the first issue of the long-defunct (but soon to be relaunched) Ares magazine. Dragonkeeper is set in the 2nd century BC, during the Han dynasty. It tells the story of Ping, an 11-yar old girl who was sold into slavery by her parents. She is badly mistreated by her master, who is tasked with the care of the emperor’s dragons. These are also badly mistreated, and one dies. Ping eventually escapes with the last surviving dragon, Long Danzi (Long simply meaning dragon), and Hua, her pet rat. Also with them is a mysterious stone that Danzi was desperate to save. He must make the long journey to far-off Ocean to recover and Ping, with much reluctance, agrees to accompany him. What Wilkinson has given us is a wonderfully told bildungsroman. It also sensitively explores the long effects of abuse upon Ping. She, illiterate and malnourished, is initially reluctant to escape her slavery. Though she desperately hates it, she knows no other life. The modicum of security it offers is some comfort for her. Later, when the reason for the title becomes evident, Danza reveals that he misread crucial signs because Ping is a girl. I don’t know how well Dragonkeeper fits established Chinese dragon stories, but it is certainly evocative. Rather than roar, Chinese dragons gong. They have whiskers reminiscent of catfish and are mortally afraid of iron. Danza only communicates telepathically, so when she first hears his voice she’s not aware that she was ‘hearing’ a dragon. But Danza’s Confucian wisdom recognises Ping’s true worth, which is great indeed. She gains in confidence as the story progresses, though without bravado. Ping has to screw her courage up, which makes her the more worthy of praise. Fragments of their shouted conversation reached Ping on the wind. The woman was crying. Ping edged closer, trying to make out what it was they were talking about. In the end, Ping must confront her own desire for comfort and safety and make a decision. This is simply a wonderful and deservedly award winning book, suitable for readers from 10 to about 14. I’ve not read any of Carole Wilkinson’s works before. I’m looking forward very much to reading more. Historical fiction writers have a very difficult road it seems to me. On the one hand they need to be historically authentic. Dialogue that feels completely modern will feel out of place. On the other hand, the reader shouldn’t be overburdened with anachronism. On the whole, C. J. Sansom’s Shardlake series just about hits the sweet spot. This is my review of the third in the series. Each are stand-alone pieces but if you’ve not read anything in this series I’d still begin with Dissolution. Fantasy writers have similar concerns. If you want to read an excellent discussion on style and fantasy, get your hands on a copy of Ursula le Guin’s From Elfenland to Poughkeepsie. I think a lot of her insights can also be applied to historical writing. Speaking of fantasy literature, my only fantasy for the year seems to have been The Hobbit and a Terry Pratchett that I’ve yet to finish. Quelle horreur! It is the spring of 1543. Henry VI seeks Catherine Parr as his sixth wife. Matthew Shardlake is promoted to Serjeant at the Court of Requests thanks to Archbishop Cranmer. Cranmer and the reformist faction at court meanwhile follow Henry’s pursuit of Catherine with interest as she is known to have reformist sympathies. Radical lay preachers prophecy the coming of the Apocalypse, and Bishop Bonnor in London seeks to rid England of them with a new round of heresy trials. A serial killer’s victims are murdered to fulfil the vision of Revelation 16, in which angels pour onto earth the seven vials of God’s wrath. Each killing is more gruesome than the last. Meanwhile, a young man incarcerated in the Bedlam Asylum will be burned as a heretic unless Shardlake can uncover what has unhinged his mind. This is the darkest of the Shardlake novels so far. As fear casts its shadow across England, so too shadows fall across friendships. Matthew and Guy, Barak and Tamasin are estranged as trust fails and tragedy strikes. But author C. J. Sansom is increasingly comfortable in his chosen milieu. In general, he conveys the flavour of Tudor England without resorting to anachronism. Occasionally a piece of dialogue feels out of place, such as Matthew’s ‘Back to square one’ when his investigation runs up a blind alley. The notion of a serial killer in Tudor England may sound unconvincing but the unfolding sequence is handled skilfully. The plot perhaps rambles along rather too much for some tastes, but for me it it’s an important part of the immersion. It’s a mild antidote to the prevailing gloom that stops Revelation from becoming a piece of Tudor noir. It’s perfect reading wither you’re on the train to work or curled up on a comfy couch with a fine wine. I’m looking forward to Heartstone very much indeed. A thin little book that I finished on the way to work. Including in the challenge feels like cheating, but it’s a read book. So there!. I borrowed this from our local library (actually, they borrowed it from another local library for me). I was interested in the dress and organisation of a centurion from the 5th century, and bingo! It was on the final plate. Just a bit of detail for my book. Plus a couple from my local. And I’ve returned them on time. All of them. Actually, one may have been a day late. As we all know of course, we librarians are the worst at returning stuff on time. Mostly. Anyway, enjoy your reading folks. There is some fiction to come. And more Roman stuff. Sorry about that. This is concise summary of the evidence available on what was the backbone of the Roman beyond the dissolution of the Empire in the West. It covers organisation, career progression, pay, equipment and clothing. The thing that is striking is that, despite the tremendous changes within the Roman Military over the 500+ years covered, the role and status of the centurion remained remarkably stable. They were very well paid indeed: often as much as 15 times the salary of a legionary. But while they shared the risks of their men, they were also responsible for their men’s performance on and off the battlefield. A perceived dereliction of duty could mean death. There were a several important distinctions that marked a centurion, but the one that characterised the whole period was the vine staff. This was a mark of office and it could be used to discipline their men. It was fascinating to see the evolutions in its shape. One illustration shows a staff peeking out from behind a shield, its shape a lotus. Apart from numerous references there is a lot of excellent archaeological information, including fragments of a leg greave. As you would expect, funerary monuments also feature prominently. Finally, the plate illustrations are first-class. I was pleased to see that the 5th century centurion in the final plate was based on the wonderful mosaics at Santa Maria Maggiore (perhaps my favourite church in Rome). A thin volume for the price but an excellent reference. I wouldn’t recommend the kindle version unless you’re reading on a tablet because the illustrations add so much. Another Goodreads review – this time Terry Jones and Alan Ereira’s Barbarians. I’m planning a novel set in the late Roman Empire, so this year’s challenge will have a lot of Roman stuff. Apologies for those of you uninterested in things Roman. Blame Goscinny and Uderzo. It’s all their fault. Also, while I seem to be crawling along with my reading, it’s the reviewing that’s taking the time. I will try to speed up, or at least not go on so much. Barbarians is a revisionist retelling of Rome’s relationship with the peoples it came into contact with, that the Romans called ‘barbarians’. It seeks to show that these peoples were not ‘barbaric’ in the way that we understand the term today. Jones and Ereira have not so much written a history as a sustained polemic. It begins by listing the things that we associate with Roman greatness: roads, laws, the Julian calendar. Also listed is the chariot. Unfortunately, I never got to study Latin at school, but no-one that I know with an interest in the period would consider the chariot as something peculiarly Roman. They going on to (correctly) talk about Caesar’s encounter with chariots during his two invasions of Britain. He noted that they were sturdy and aggressively driven. But here they are almost elevated to the status of a wonder weapon. This is ironic because the Romans were unfamiliar with the chariot as a weapon of war because they went out of use as a weapon of war elsewhere hundreds of years earlier. They were good for moving men swiftly to battle, but an effective weapon of war they were not. This is doubly ironic because the information about their use comes to us from Caesar. Yet Caesar is derided as an unreliable chronicler of the Gauls because he described the elk as a creature that slept standing because their legs have no joints (a story he got from the Germans). It’s true that Caesar is not someone to take at his word. Why do so here? There is lots of distinctly wobbly interpretations. They describe the quite sophisticated laws of the Celts, and note that Roman and Celtic law served different societies. No argument there. But Roman law was not based around paterfamilias, though it was an important component of it. It was largely to regulate property relations, though, like the Celts, there were also many laws that regulated socio-political functions. It’s doubtful that Archimedes’s mirror that could burn ships was actually deployed. The issue is not so much that the mirror couldn’t be built, but that it would likely be ineffective against a target that moves. It’s also unlikely that Rome set back civilisation hundreds and hundreds of years because of the inventions that it effectively quashed. It’s true that the Romans did not make use of the many inventions that came out of the Greek world in the second and first centuries BC (and they list some of these). But the rulers of Rome, like the rulers of societies around then, made their wealth from exploiting slave labour. At the height of its power, some historians estimate that for every Athenian citizen there were three slaves (of course this doesn’t count women and foreigners). The inventions that they laud might have taken off at some point, but it’s likely that there would need to have been social upheaval within those societies for those devices to replace slave labour, rather than being a supplement. It might seem from the above that this book isn’t worth reading, but this isn’t the case. I would say that the faults that they ascribe to the Romans are true. But they weren’t exclusive to the Romans. The Romans succeeded, and the others did not. Because there is much that they get right that often isn’t told. The dynamism of the middle-late Republic and early Empire was based on its success. Economic growth in the ancient world tended to be extrinsic rather than intrinsic. That is, your economy grew fastest by nick stuff from someone else. For Rome, military triumphs brought treasure and slaves into the economy. Once the Empire stopped expanding, inflation took hold. By the fifth century the city stopped being the administrative and economic focus for the elites, which doomed the state as the burden of tax shifted downwards. This is not so much a history as a sustained polemic. Rome is cudgelled for killing cultural diversity, yet the end of the West is surely at least in part the result of different socio-cultural milieus going their own way? This book may annoy, but it remains thought provoking, and that surely was its purpose. In one sense, it’s a survey of all the peoples of the Mediterranean and Near East. No, the Romans were not universally good guys. But other peoples were not either. Some of Rome’s heritage is surely worthwhile. I am still in awe when I visit Bath or the Pantheon. The first two books for the year are both re-reads. Both well worth multiple reads, as it happens. I first read this twelve months ago and was captivated. We bought a second copy while on holidays (I must check when we get home to see whether we indeed already own a copy). No matter. It was worth the read. We got this at the Abbey Bookshop in Paris, a place that you must visit if you like second-hand books. It’s on the left bank, close to good food and the Notre Dame cathedral. They are also very hospitable and helpful. Below is the original Goodreads review with a second reading postscript. Having seen Julie and Julia, this was bound to end up on the reading pile sooner or later. Happily, it was sooner, for this cleverly crafted biography was worth every minute that was spent reading it. Though really focusing on one slice of Paul and Julia Child’s life, it is soon apparent that the slice devoted to France was considerable indeed. From her first sole meunière at Rouen in 1948, Paul child and France remained her lifelong loves. Though this book will appeal to the culinary set, it is a wide-ranging snap-shot of post-war France. The parade of characters include chefs such as Bugnard, and gourmands such as the eccentric Curnonsky. The Prince des Gastronomes adopted his pseudonym having covered a feast for the Russian royal family in Paris in the mid-1890s. Though a brilliant article, the author was unknown. His solution was the Russian-sounding pen-name. His reputation remained undimmed until his death in Paris in 1956. Child is refreshingly forthright in her opinions, and doesn’t shrink from self-praise. Her indignation at failing at her first attempt to gain her certificate from Le Cordon Bleu almost makes the book shake in one’s hands as she lists her accomplishments. But it is deserving. Her optimism despite the stumbling blocks thrown across her husband’s career and the difficulties in publishing what would become Mastering the art of French cooking are simply so many obstacles to overcome. Her love for Paul Child is manifest, and softens the few hard edges that that Julia shows. A talented artist, Paul joined the OSS during the Second World War (he met Julia working in Sri Lanka). Both Democrats, Paul was viewed with suspicion and, during the McCarthy witch-hunts was recalled to Washington and questioned about his political beliefs. His support for her projects was invaluable, and it was he who suggested that she should work in television (a remarkable observation as they hadn’t seen one at the time). Enthusiasm for life and all that it offers, for good and ill, is the thread that holds this book together. Published posthumously in 2006, this is simply a wonderful piece of biographical writing. Postscript – we picked up a second copy of this at the Abbey Bookshop in Paris. If you get to Paris, visit them. They are very hospitable. On thing that struck me again is how important a part of culture food is. I love visiting France because eating good food (and making the time to do so) is still seen as important (I love Italy for the same reason). This is not to say that all the food that you buy in France is great. But I suspect (but cannot prove) that it’s generally better that that consumed in the Anglo-Saxon world. As I write this we are in Bayeux and most businesses are closed from 12:00-14:00. Perfectly civilsed. I have nothing against sandwiches (I love a good sandwich), but I dislike our modern preoccupation with food as something to get through. At work, we often feel that we have no choice (and many don’t). We are the poorer for it. The other thing that came through the book is that the French, their reputation notwithstanding, are very polite and usually friendly. My wife saw a staff member at the Bayeux tourism office being extremely patient with an elderly Canadian gentlemen. The French also value politeness highly. It’s important to say ‘bonjour/bonsoir’ when you enter a business. Politeness to people who serve us our food or our services is also something of an anachronism in the Anglo-Saxon world, and again we are the poorer for it. Not that France or the French are perfect. Julia’s description of the drawn out bureaucratic nightmare that constituted their efforts to get a telephone are still a feature of modern French life. If you have to encounter the French bureaucracy, roll with the punches. And be polite. You may be the better for it. At one point, Julia exclaims that she must be French and no one had previously informed her of this fact. I concur wholeheartedly. In the spirit of trying to write a review of every book that I read this year, I start off with The Hobbit, published on Goodreads. I say a little about The Hobbit: The Desolation of Smaug in the review, but it’s by no means a review of the film. I will try to do a review of the film when I get a chance to see it again. How do you review one of the most famous works in the English language? I was prompted to read this again after seeing The Hobbit: The Desolation of Smaug. I don’t want to talk about the movie except to say that, on reflection (and despite the additions) I think that Peter Jackson has managed to capture the spirit of the book remarkably well. Additionally, Jackson has not only had to make The Hobbit films in the spirit of the book, but also to make them compatible with his earlier Lord of the Rings films. This is relevant to me as a reader because I approached The Hobbit in much the same way. I had read The Lord of the Rings two or three times before I ever got around to reading The Hobbit. I knew of course that it was a children’s book and was therefore reluctant to try it. I found it difficult to get past the childish asides and, although I thought it a wonderful story, I much preferred its longer offspring. While The Lord of the Rings was a sequel (because the public wanted more hobbit tales), in a sense it was not. The size and scope of the later work gives it a mythic quality suitable for the Middle Earth sketched out in The Silmarllion. So much so that it was necessary for Tolkien to make revisions to The Hobbit in order to make it compatible with its sequel. But it remained a children’s book. A children’s book of giant spiders, of goblins and a terrible dragon, but a children’s book nonetheless. But, this time, perhaps I was mature enough to appreciate how bond up with Middle Earth The Hobbit really is. It draws out the bad blood between elves and dwarves. The siege of Erebor by Bard and the men of Lake Town and their elvish allies shows that the future enemies of Sauron don’t simply have a few differences of opinion, easily resolved. It’s only the quick thinking (and slippery fingers) of Bilbo, and the appearance of the goblins and wargs, that makes allies of enemies. The first cut is always the deepest. I suspect that I will always read The Lord of the Rings by choice over The Hobbit because it was my first encounter with the Middle Earth that I also love. But that it is so reflects a fault in me. The Hobbit is deservedly a classic of English literature. Each journey through it is an enriching experience. My final completed book for 2013. This is a pair of fascinating accounts of the Viking voyages to North America some 400-odd years before Columbus’ voyages. Interesting in their own right, they are helped with an excellent introduction by translators Magnus Mangusson. Comprising about 1/3 of this slim volume, it puts the voyages into a broad context which adds greatly to the experience. It gives a brief account of the settlement of Iceland and the beginnings of the doomed Norse outposts on Greenland. While the translations move the genealogies to the footnotes, it’s worth making the effort to read these as well. The cadence of the recitations help give yu a glimpse of these sagas in their proper context; to be recited in a feast-hall by a thunder-voiced skald.